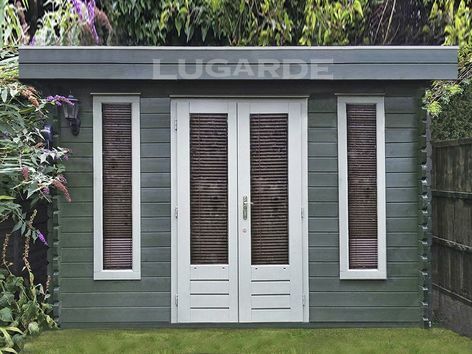 The Bruges log cabin is perfect for a variety of uses - from garden shed to home office, studio or den. It features long doors and windows on the front elevation which allow for a light, bright interior space. Size is 3.5m wide x 3m deep in 44mm log thickness. 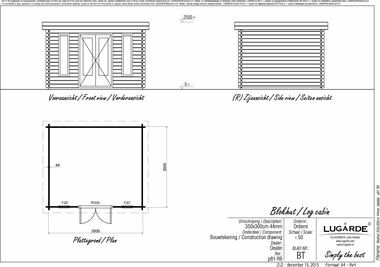 1 x PE45H double door and 2 x PJ07 windows are included as standard.